Despite the regular drizzles and afternoon rainfalls, summer is definitely not over. The sizzling summer heat is here to stay in the form of humidity. 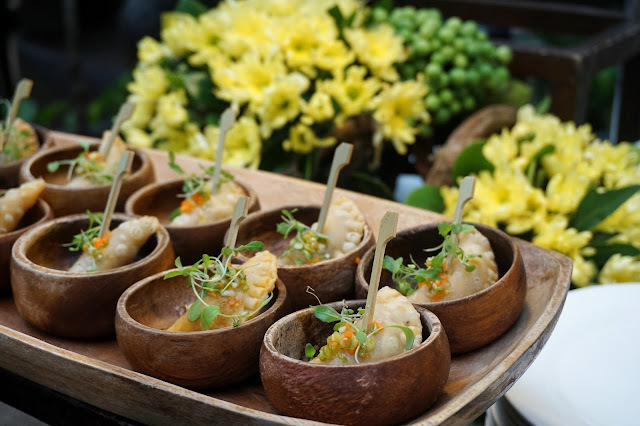 Thankfully, one of my favorite cold treats decided to add a few new goodies to their list of offerings and we celebrated its launch last week. I came from Citibank Makati for a meeting and decided to burn some fats by walking to Greenbelt 5. However, my lack of navigation skills made me walk towards the wrong side and I had to go all the way back to reach my destination. The swealtering afternoon sure took a big toll on my appearance and I looked like what Merriam Webster would describe as the complete opposite of fresh. After almost half an hour of walking, I finally reached what seemed like an oasis. The difference though of this one is that it offers more than just water and shade. 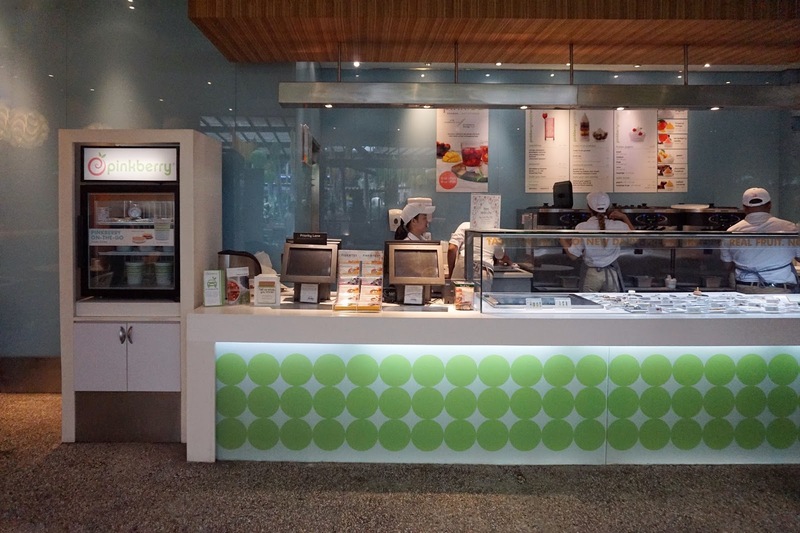 It offers frozen yogurt and soft-served ice cream. Wait, what? 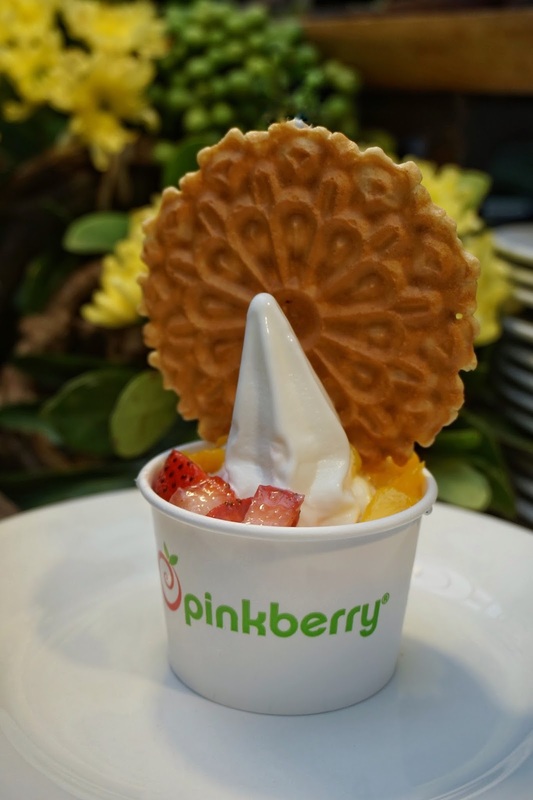 Soft-served ice cream in Pinkberry? 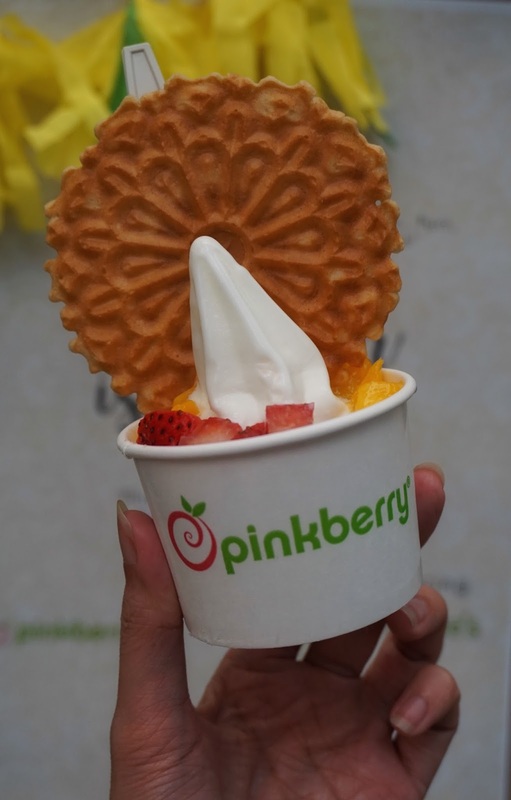 Yes, Pinkberry is finally offering Pinkbee's, Pinkberry's delectable take on soft-served ice cream. 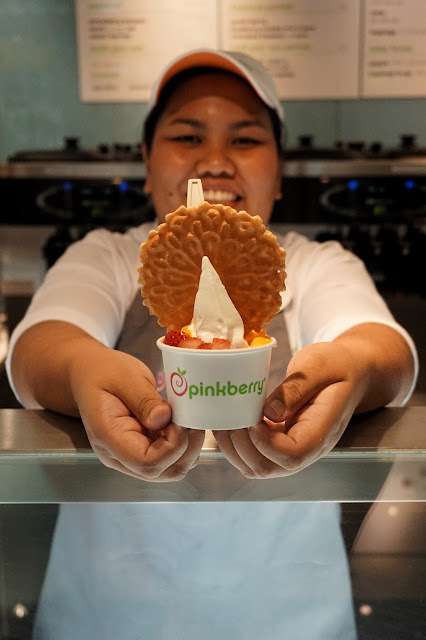 Unlike the usual frozen treat you can find elsewhere, Pinkbee's is light, creamy and low-fat made with milk and served with honeycomb and Pepero stick. It'll be available in stores this coming Monday, May 29! 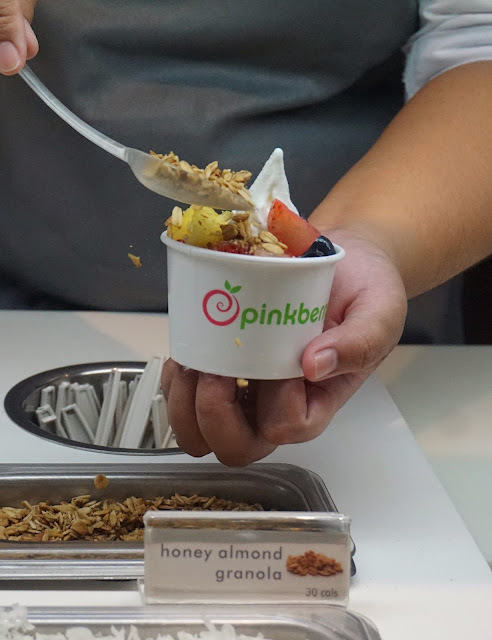 Pinkbee's will be available in with the following topping combinations: honey + honeycomb | honey + mochi | dark crisp pearls + chocolate sauce | caramel + toasted almonds | mango + honey | honeycomb + honey gold flakes | strawberry + blueberry + pomegranate/strawberry puree. 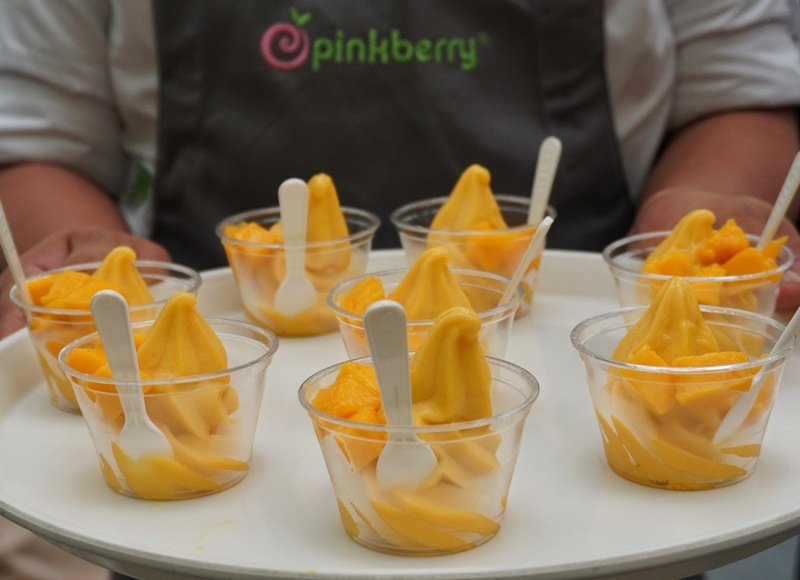 Pinkberry also launched its newest flavor Tropical Mango and its refreshing beverage Pink Tea! 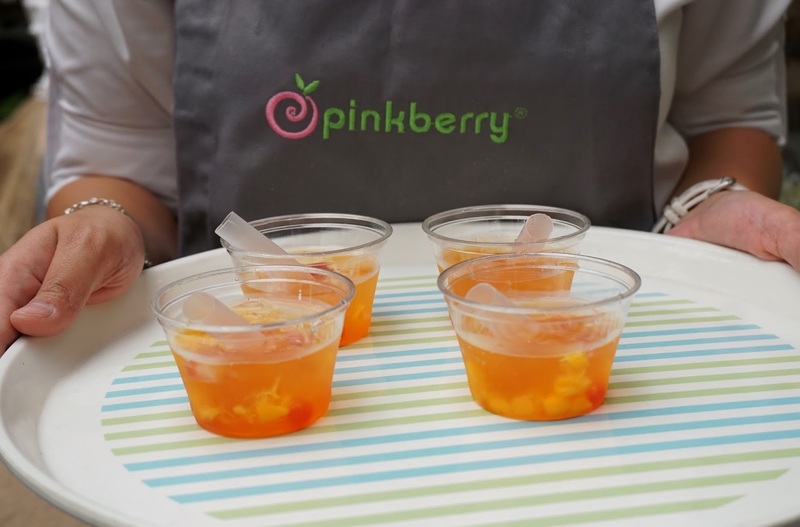 Pinkberry will also hold a 12 Days of Summer Notebook Promo where you can get limited edition watercolor themed notebooks in celebration of Pinkbee's launch. Just collect 12 stamps (6 for Pinkbee's and 6 for Pinkberry yogurt products worth at least PHP300 for every single receipt) and you can score a pretty notebook! Promo runs from June 2 to August 4, 2017. Let's race to 12 stamps? 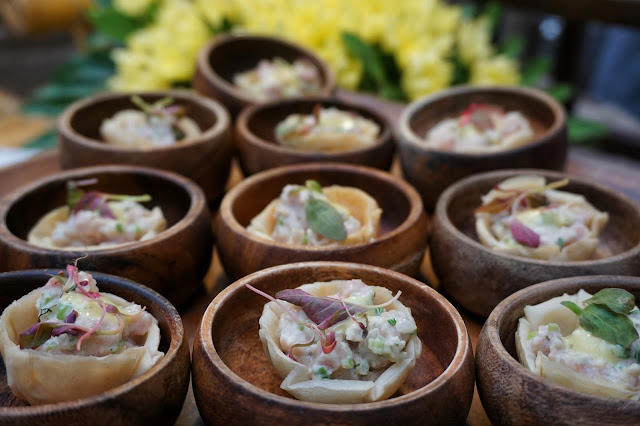 Oh, and since the food served was so good during the event, I just have to include it in this post. Pinkberry is located at Ground Floor, Greenbelt 5, Makati City. Pinkberry also has branches in Rockwell Powerplant Mall, SM Aura, Alabang Town Center, SM Megamall, Ayala Triangle Gardens, and SM East Ortigas.